Rhino poaching is at an all-time high in Africa and is increasing at an alarming rate. The illegal trade in rhino horn has seen the number of these magnificent creatures poached throughout Africa rise significantly in recent years. Since 2008, 7 130 rhinos have been poached in South Africa. With a rhino killed every eight hours, more of these African icons are now being lost to poachers every year than are being born. 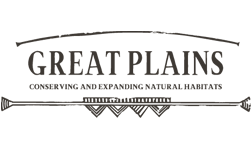 Rhinos Without Borders is a joint initiative between andBeyond and Great Plains Conservation, two leading conservation and tourism companies. The project aims to translocate 100 rhino from high-risk poaching areas in South Africa to the comparative safety of Botswana. The dream became a reality when the first batch of rhino were successfully translocated from South Africa, by air, and safely released in their new habitat. By taking action, Rhinos Without Borders has already succeeded in moving 77 rhinos from a high-risk poaching zone and significantly decreased the likelihood of these endangered animals being killed. The remaining 23 will be translocated in 2018. While we continue raising funds to meet the aims of the entire project, we are pleased to announce that sufficient money has been raised to move the next batch of rhino to a different, undisclosed destination within Botswana. These rhino will again be captured in South Africa before being translocated across the border to replenish the population. andBeyond is one of the world’s leading luxury experiential travel companies, designing personalised high-end tours in 15 countries in Africa, five in Asia and four in South America. The company also owns and operates 29 extraordinary safari lodges and camps, as well as set-departure expeditions, throughout Africa; which positively impact more than 9 million acres of wildlife land. Established in 1991, andBeyond takes exceptional care of its guests in order to make a difference; its commitment to sustainable responsible travel, conservation and community empowerment has been globally recognised with multiple awards over the years. We offer warm local hospitality and sublime natural luxury that combine with interpretive natural experiences led by highly-skilled guides and rangers. The rhino are being placed in undisclosed secret locations in Botswana. The goal for Rhinos Without Borders is to place these animals in wildlife concessions and national parks throughout Botswana, letting them roam free. Although the animals’ movements are unhindered and they may move away from the original release locations, we will keep these locations confidential in order not to attract unwanted attention and raise security concerns. Botswana currently has one of the lowest poaching rates in Africa where the country’s conservation officials are supported by an official anti-poaching unit, with a shoot to kill policy and political will from the top to help save rhinos. Why are translocations so important? Both andBeyond and Great Plains Conservation believe that translocations are a fundamental way to secure the ongoing survival of endangered species. Rhino are taken from existing, high density populations that are attracting more and more poaching in South Africa and released in areas of Botswana that have fewer numbers of rhino and an excellent anti-poaching record. By creating multiple populations of rhino in a number of geographic regions, we are making it harder for poachers to operate by having one concentrated population in one country. Spreading the risk and increasing diversity of genes are the most common reasons for translocation but, in this case, there is a major third reason and that is to stimulate the growth of the rhino populations in Botswana. Presently the country has very low numbers of rhino and, although they are building up, it is sometimes difficult for mating pairs to even locate one another because of the low densities. In addition, it is a biological reality that the presence of new, younger males stimulates the females and energises the males because of competitions. All of this is much needed in Botswana. What does this mean for the conservation of rhinos?